Build a programmable starter robot! 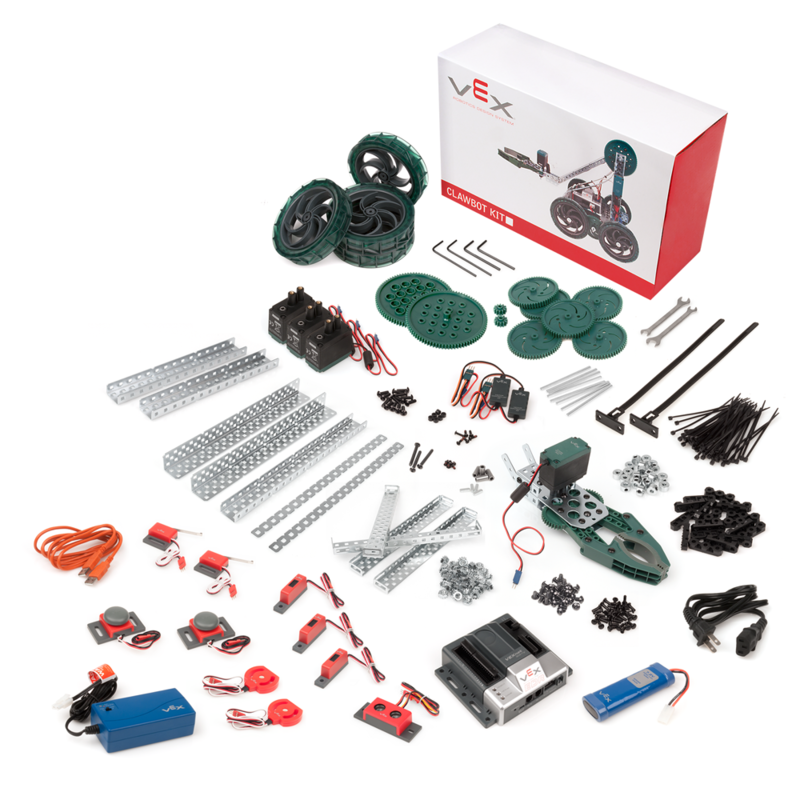 Note that this kit does not come with the VEXnet Joystick or the VEXnet Keys, which are required for competition use. The Programming Control Starter Kit includes everything needed to build a fully capable robot using the included programmable Cortex Microcontroller and various sensor types. Flowol 4 Programming software (sold separately) is required for autonomous programming, integration of sensors and more. Clawbot Robot Kit (4 motors included). (1)Claw Kit Assembly (includes motor). (1)7.2V Robot Battery NiMH 3000mAh. (1)Smart Charger & Power Cord. (32)Screw, 8-32 x 1/4" Long. (14)Screw, 8-32 x 1/2" Long. (3)Screw, 8-32 x 1 1/2" Long. (6)Locking Screw, 6-32 x 1/4" Long. (6)Locking Screw, 6-32 x 1/2" Long. (2)Tool, Allen Wrench Small (5/64"). (2)Tool, Allen Wrench Large (3/32").